"After Paradise, is a treat for the eyes. Though well-versed in many forms, her coup de grace is mixed media, and the delight of her recent narrative portraits is in the details—those bits of sticks, beads, googly eyes, trinkets, and ragboard that create living forms so rich in nuance and expression, you have to blink to realize you are beholding not a painting, but an assembly of objects painstakingly arranged into a whole that is more than the sum of its parts. The reproductions in this book are of canvasses several feet square in real life, and they jump off the page in texture and color. Figures of friends, family, animals, plants and an assortment of other objects are caught in strange and astonishing postures. The scenes are often disconcerting, partnered with titles that unhinge our initial assumptions about them. An idyllic pastoral of well-bred dogs (and a lion), robust with life, takes on a chill under the title Nazi Pets. Another piece, 9.81 Meters per Second per Second, an eerie free-fall of people in tennis shorts, pajamas, suits, and dresses, all adrift in flowers, demonstrates the rate of acceleration due to the earth’s gravitational pull, as well as a more thoroughgoing human fall. The threat of those rifts between meaning are punctuated by emblems of hope—a mourning dove in a thicket of thorns; a woman’s mouth tilted up to receive a sparrow’s normally repulsive offering to its young; the smiley face attending a ship tossed but not submerged in a storm. 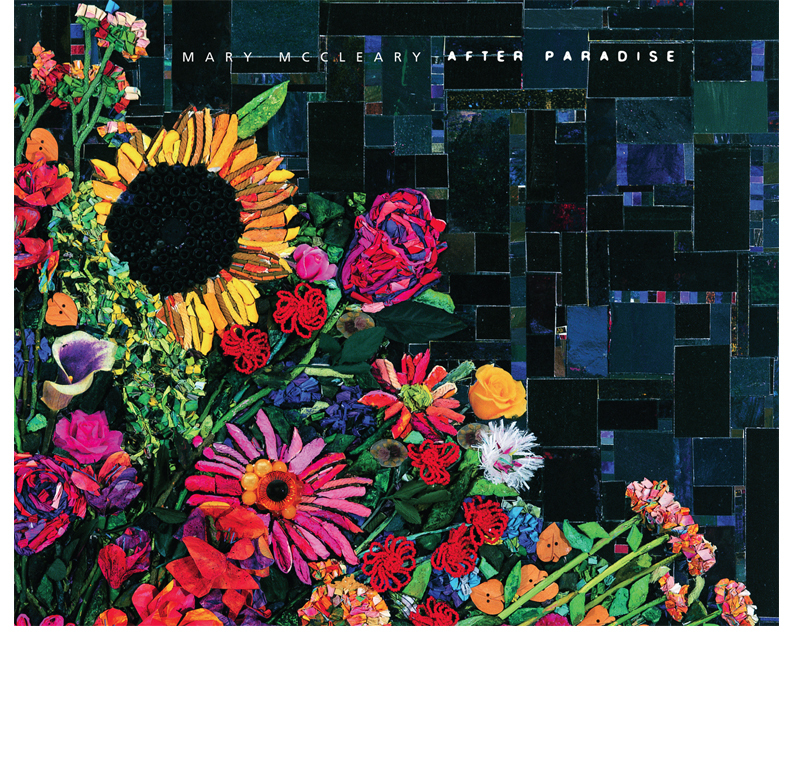 McCleary puts the question to us: who and where are we after paradise?"